Comments Accepted Until February 21st. Albany, NY - January 22nd, 2014 - A proposed recovery plan to increase the population of the endangered northern cricket frog is now available for public review and comment, New York State Department of Environmental Conservation (DEC) Commissioner Joe Martens announced today. The northern cricket frog is one of New York State's two endangered amphibians and is limited to a small number of breeding populations in southeastern New York. "The northern cricket frog is a historic resident of New York State and represents an important amphibian component of wetland ecosystems," Commissioner Martens said. "Conservation of the northern cricket frog and its habitat is important to preserving New York's biodiversity and unique character. The plan aims to improve the frog's geographic diversity and ultimately increase its population." develop and support partnerships to facilitate recovery. Although recovery plans are not required for endangered species in New York State, one can be prepared to provide guidance for activities that would result in an improvement in the status of the species. 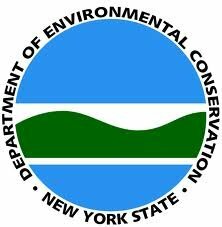 An overall goal of the recovery plan is to eventually remove the species from New York's endangered species list. Additional information on northern cricket frogs can be found on DEC's website. Microsoft Word and Adobe PDF copies of the Draft Northern Cricket Frog Recovery Plan may be downloaded here. DEC will accept comments on the draft plan until February 21, 2014. Comments or questions should be addressed to Gregg Kenney, NYSDEC, 21 South Putt Corners Road, New Paltz, NY 12561, phone (845) 256-3098 or emailed to R3wildlife@gw.dec.state.ny.us (use "Northern cricket frog" in the subject line). TULLY & WINKELMAN, P.C. RELEASES 2012 EDITION OF "HOW TO CARE FOR AGING PARENTS"
Subject: LongIsland.com - Your Name sent you Article details of "DEC Releases Draft Recovery Plan Northern Cricket Frog for Public Review"